Total Capacity: 12.6 cu. ft. 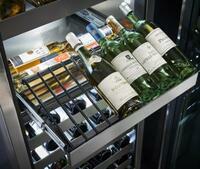 Storage large wine collections beautifully with Perlick. Enjoy luxurious details, including vibration-resistant soft-coat glide out shelves, stainless steel interior and blue and white roll-on theatre light. Inspired by the demands of the restaurants they serve, nothing protects and presents wine quite like a Perlick. 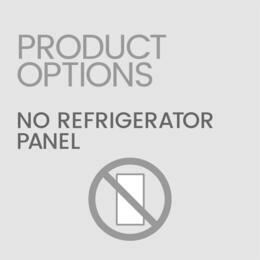 Advanced technology monitors humidity levels in the reserve, and if necessary, pushes additional moisture into the compartment to maintain 60-70% humidity. 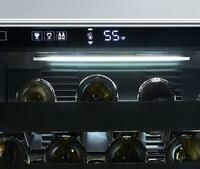 This preserves corks, prevents oxidation and ensures the quality of wine. 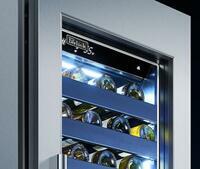 This, along with natural carbon air filtration, ensures ideal conditions for wine preservation and maturation. The full-size wine reserves feature the same industry-tough engineering and performance that runs through our commercial wine storage equipment. Their interiors are all stainless-steel - no wood like some competitors. Why? 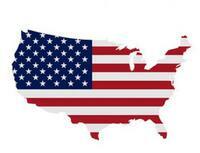 Because wood can harbor bacteria, affect moisture levels and alter the storage environment. 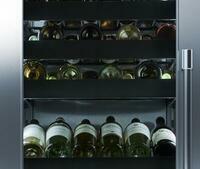 Angle up to display six prized bottles of wine, with additional storage for four dessert bottles. 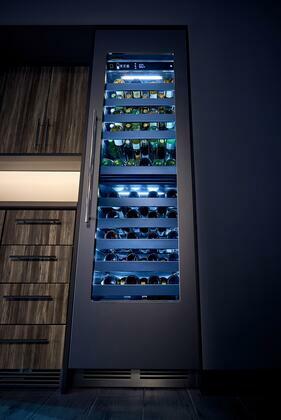 Or lay the display shelf flat for long-term cellaring and increased wine storage capacity for 11 bottles. A sleek, black design disappears into the backdrop until it’s awoken with a touch. 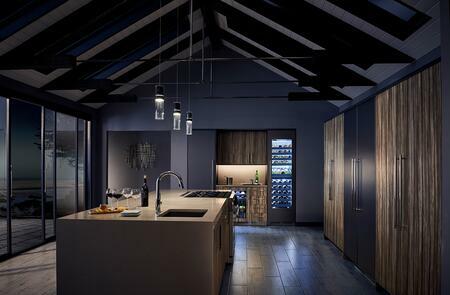 PerlIQ™ provides access to proper red and white wine temperature settings, enables the customization of lighting and activates Sabbath mode. 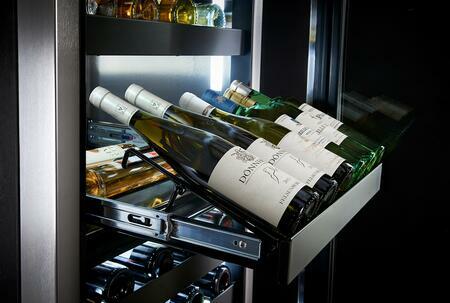 An industry exclusive, Perlick’s Column Wine Reserve provides storage for you to enjoy luxurious details, including vibration-resistant soft-coat glide out shelves, stainless steel interior and blue and white roll-on theatre light. Inspired by the demands of the restaurants we serve, nothing protects and presents wine quite like a Perlick. Full-size wine reserves feature the same industry-tough engineering and performance that runs through our commercial wine storage equipment. Their interiors are all stainless-steel - no wood like some competitors. Why? 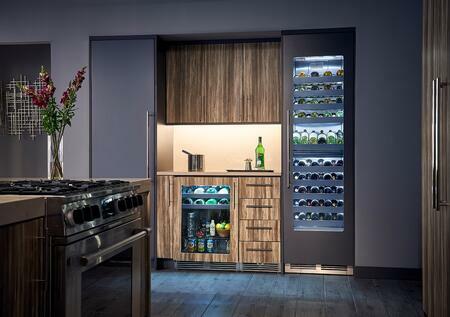 Because wood can harbor bacteria, affect moisture levels and alter the storage environment.